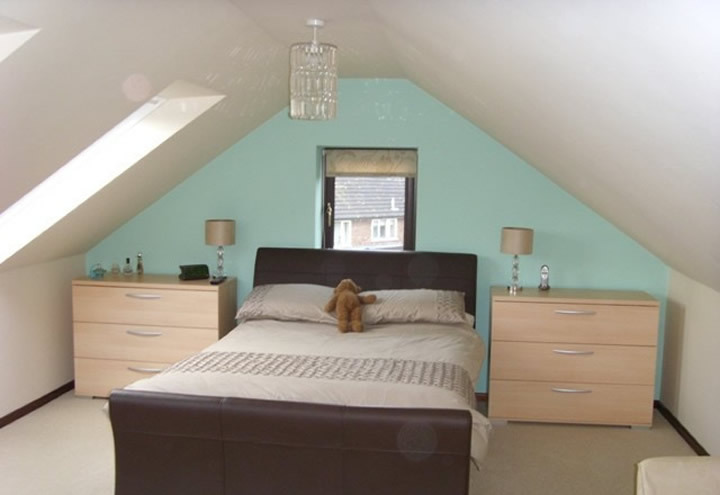 As you can see this conversion as created a very large bedroom with full en-suite. We have a normal pendant light which is hung over end of bed. 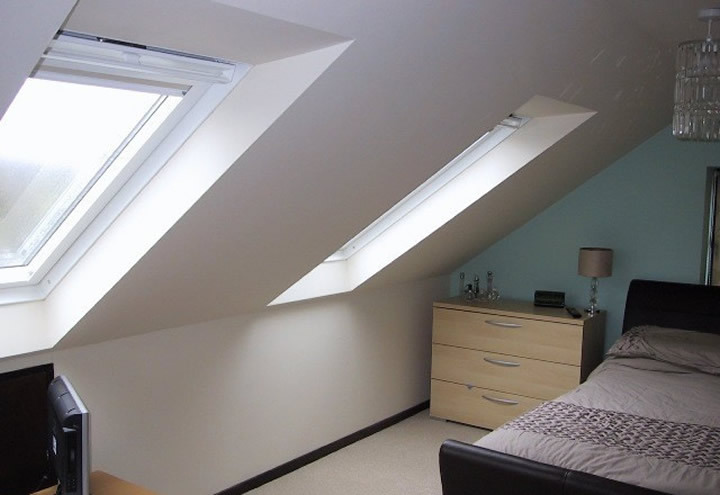 Two very large top hung Velux window make it a very bright room with plenty of ventilation, plus normal window behind bed adds to the fill of a normal room (this is also the fire escape). 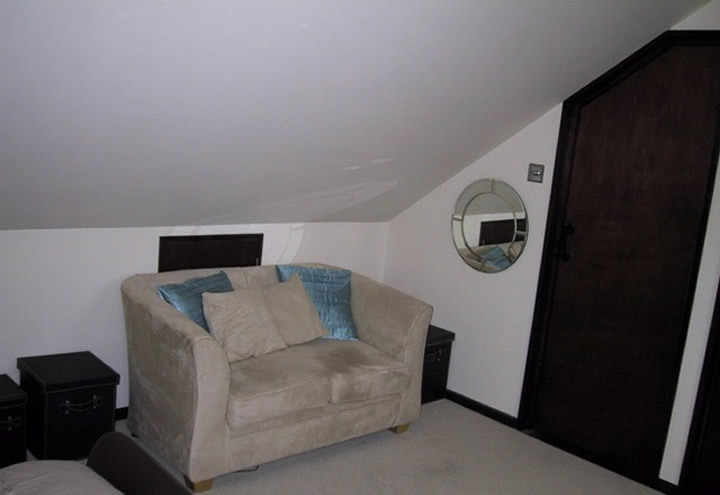 The room is large enough for a small sofa, the wardrobe is in the corridor. 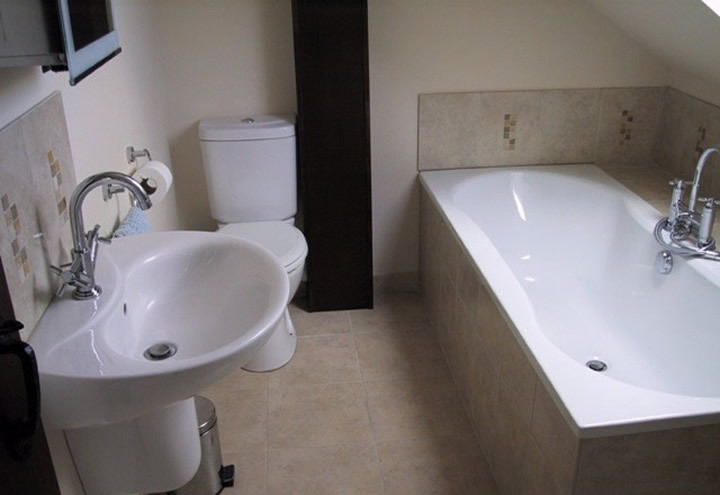 The en-suit looks great with clear window to watch the stars when taking a bath.